When pure passion for beauty and nature meets a dedication to sustainability, the result is something extraordinary – the finest oils, concretes, and absolutes that are pure, natural, sustainable, and transparent, and setting new industry standards in ingredients. So, it is with great pride that we share that IFF-LMR Naturals has increased the number of organic certified sites to three, with the addition of our French Aumont-Aubrac and Turkish Isparta sites joining our previously certified facility in Grasse. 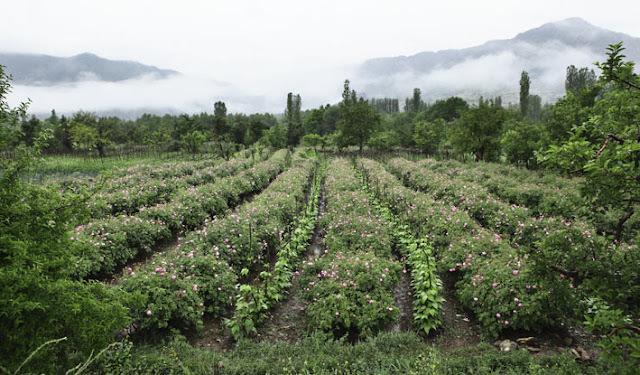 IFF-LMR leads the industry with 10 For Life certifications, including Rose harvested in Turkey, Vetiver from Haiti, Geranium Oil from Egypt, Patchouli and Ylang Ylang from Madagascar, and in France, Orris and Blackcurrant Bud. In addition, our site in Grasse is certified across five areas: organic, kosher, For Life – social responsibility, and ISO 9001:2015 and ISO 14001:2015 for quality and environmental management. This site was first certified organic in 2014, with its certification successfully renewed every year since. This latest wave of certification speaks to the decades of experience understanding natural products and perfecting the process of transforming naturals, such as Rose and Narcissus into pure oils, concretes, and absolutes that retain the unique fragrance of their origin. In all we do, we seek to celebrate the natural world that inspires our creations, honoring its beauty while being respectful of both the consumer and the environment. We have always believed in using science to honor nature, pioneering advances to make products more available and sustainable. For perfumers and flavorists looking to create a fragrance or a flavor with a natural ingredient palette; or brands interested in showcasing their supply chain traceability and transparency, IFF-LMR and its partners deliver the highest quality, pure-as–it-gets resources: clean, pure, transparent, sustainably harvested, and ethically produced. Unique to the industry, our vertical integration allows us to innovate at every step of the journey, from vegetal and seed selection to the creation of absolutes, extracts, and concretes. Our agronomist, perfumers and researchers join forces with the growers to ensure the cultivation of the best plants, conducting environmental analyses and plant development studies to harvest the best yields, year after year. Offering guidance on the best and breakthrough agricultural practices and pioneering the preparation and mechanization of what was once done by hand, this expertise brings the age-old tradition into the modern era to forge new possibilities. Following nature’s calendar, the crops are harvested and taken to the production facility where we extract and refine the ingredients through an array of techniques. The circular path above outlines our commitment as we work with the farmers to develop strategic sustainable practices to ensure the solid continuation of the Naturals supply and our focus on the planet. In the past six years, we have increased our rose yield by 30 percent, 70 Ha (173 acres) of rose planted, while reducing our impact - 50% less water and 20% less energy required. 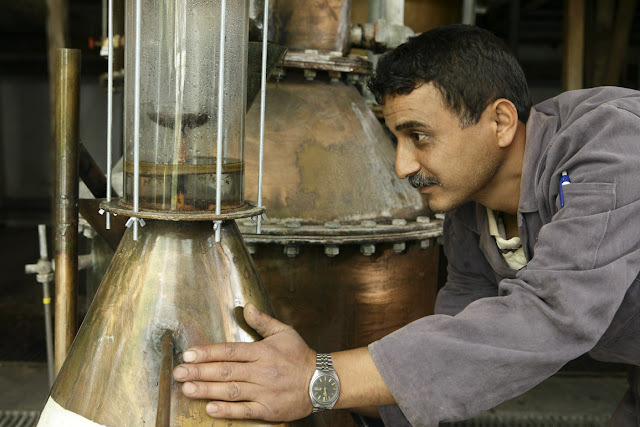 We have introduced new methods of cultivation, harvesting improved our process of distillation. 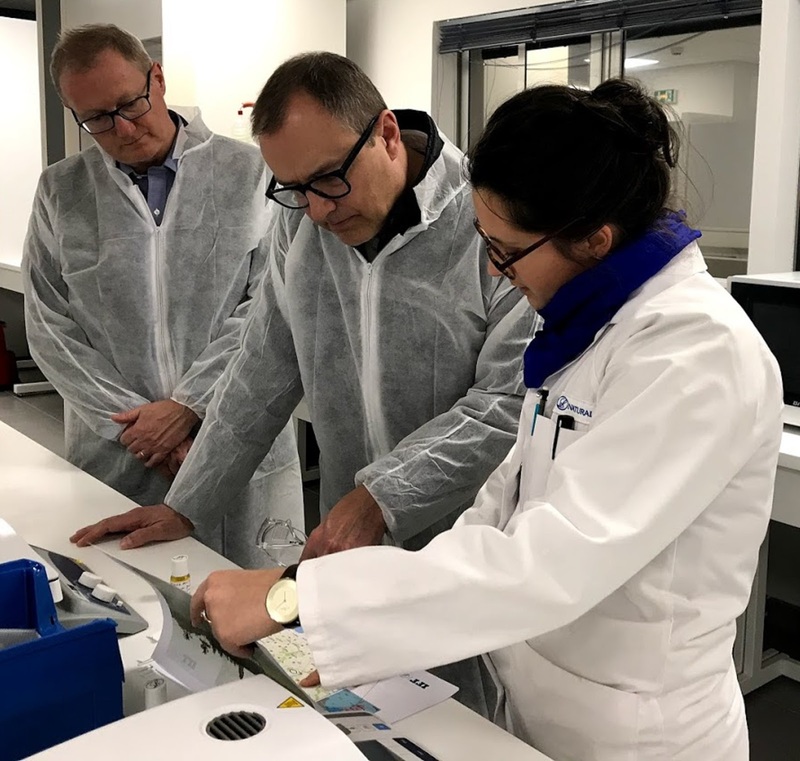 Left to right: Bertrand de Preville, General Manager at IFF-LMR Naturals, Andreas Fibig, our Chairman and CEO, and Sophie Palatan, Agricultural R&D Project Lead at IFF-LMR at the LMR R&D Laboratory in Grasse, January 2018. With this additional certification, IFF-LMR Naturals further demonstrates the unique added value of its vertical integration model, combining all the expertise necessary to craft the best, most competitive naturals for fragrances, flavors, and cosmetics. In addition to having the largest portfolio of Ecocert certified natural ingredients in the fragrance industry, IFF-LMR is working with Fair Trade, Ecocert, and family farms to support local and independent ecosystems through its ingredient sourcing program.